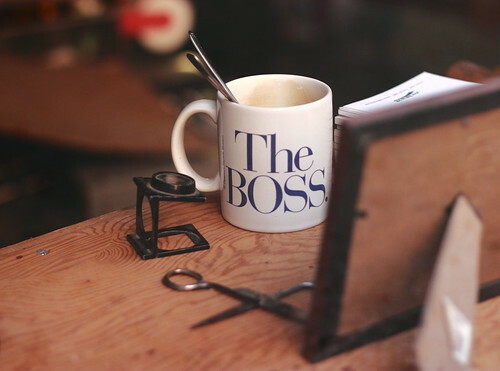 Bosses Day – October 16 – has traditionally been a “greeting card” holiday to thank your boss, but this year the focus has been broadened because of the growing body of evidence that the world needs better bosses. Did you know that three out of every four people report that their boss is the most stressful part of their job. 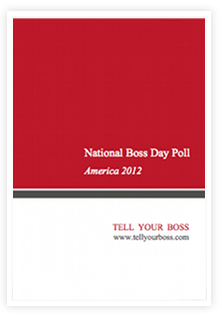 Doesn’t sound like many cards will be sent on National Bosses Day this year! With sixty percent of workplace abuse found to be top down and no amount of “Leadership Training” improving the problem, this year on National Bosses Day it’s time for employees to take a stand! Is Bosses Day Worth The Effort? Unfortunately difficult bosses have a tendency of creeping up on us. Little episodes – an insult here, a dirty look there – gradually add up into big traumas as the constant stream of negative emotions – like fear, anger and sadness – builds up into an overload of stress. It takes most of us 22 months to free ourselves of a bad boss by which time our stress levels risk becoming chronic. It can shift our brain’s chemistry towards anxiety or depression and affect our immune response and cardiovascular functioning, elevating the risk of colds, diseases, strokes, and even heart attacks. One study in Sweden even found employees who have a difficult relationship with their boss were 30 percent more likely to suffer from coronary heart disease. Most advice about dealing with a bad boss is pretty hard to implement. Are you really ready to confront your boss, raise the issue with people higher up or quit your job? This year the broadened focus of National Bosses Day provides you with a host of much better options to take action, with proven, practical ways you can create a win-win outcome for you and your boss. What Can You Do On Bosses Day? Thank your boss – If you have a good boss then National Bosses Day is the day to thank them and be specific about what you appreciate so they can do more of it. Practicing gratitude has been found to boost your levels of motivation and improves your relationships at work. Improve your boss – If you have an okay boss but there’s room for improvement then National Bosses Day is the day to tell them what your strengths are – the things you like doing and are good at – and suggest new ways to use these in your job. Only two our every ten people report that they get to do what they do best each day at work, yet when you do you’re six times more engaged and your satisfaction with life triples! Manage your boss – If you have a difficult boss then National Bosses Day is the time to get honest about what you’re putting up with. There are 24 proven, practical ways using positive psychology – the science of wellbeing – that you can use to overcome the terrors of your boss. Most importantly on National Bosses Day swing by tellyourboss.com or favorite social media and share what you do and how your boss reacted. It’s hoped the global action on National Bosses Day will broaden discussions across organizations about how to improve the performance of bosses everywhere. Good luck!